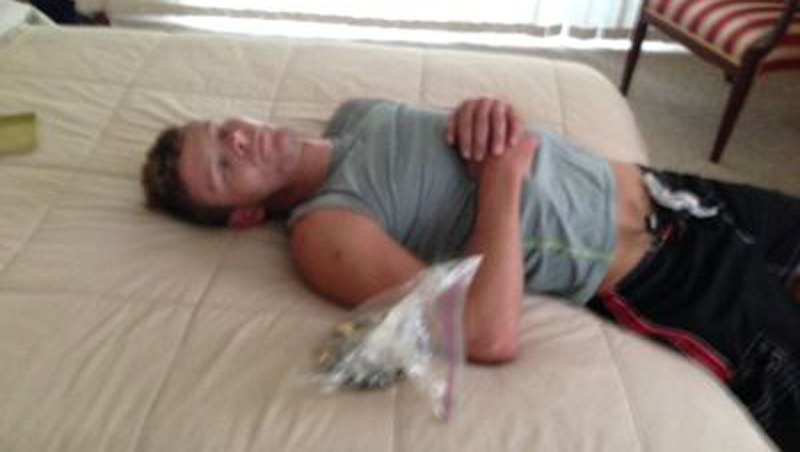 NOKOMIS, Fla. - A Florida burglary suspect is facing charges after police found him asleep in the bedroom of a home he was allegedly trying to rob, reports CBS affiliate WTEV. The Sarasota County Sheriff's Office said they were responding to a burglary call Monday at a residence in Nokomis, Fla., when they found Dion Davis, 29, asleep on a bed next to a bag of stolen jewelry. A cleaning lady made the call to authorities after discovering the passed out suspect, according to the station. WTEV reports the sheriff's office posted a picture of a sleeping Davis to their Facebook page, accusing the suspect of "falling asleep on the job." The post stated that he didn't even wake up when deputies arrived and started taking pictures. Davis is facing charges of burglary to an unoccupied dwelling, according to the station.